The main protagonist of the Upside Down film is named Adam Kirk. Played here by Jim Sturgess, he tries to show his intelligence right from the start. 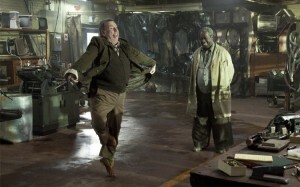 His character grew up in an orphanage, because the parents died during one of the ecological disasters. On free days he used to visit clever aunt Becky experimenting with the recipes found in a family book and not only culinary ones. Some of them required a mysterious pink powder produced by the bees visiting both worlds. Once upon a time, Adam meets a young girl Eden Moore presented by Kirsten Dunst. Adam and Eden tried to protect their love dating secretly, since they belonged to different worlds. Still one of the border patrols was able to catch the intruders, and Eden fell to the ground getting partial amnesia and forgetting all of her past connected with Adam, but the girl’s own night dreams keep holding some of it. Adam grew up and got employed in a laboratory run by Albert working for new inventions for the Lower World population. He spends time there with his colleague Pablo performed by Nicholas Rose. Upon learning that his love interest got a job in Transworld as a PR-executive, he decides to rush there for a position inside this global corporation. His basic design is the rejuvenating skin cream used for all anti-aging procedures. Angry boss Lagavullan presented by actor James Kidnie has high commercial hopes for this product, while willing to secure the patent first. Not everyone in the Upside Down film’s world is dominated by greed. There are honest laborers as well. One of them is Adam’s colleague from the Upper World, whose name is Bob Boruchovitz. 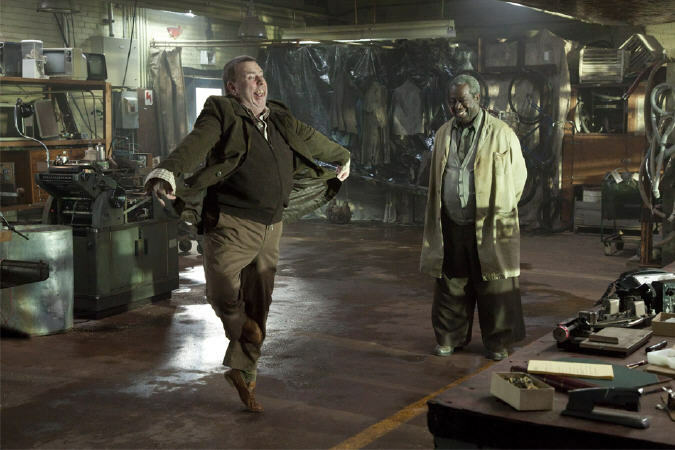 British actor Timothy Spall, familiar for his roles in such films as The Last Samurai (2003), Lemony Snicket’s A Series of Unfortunate Events (2004) and several episodes of the Harry Potter (2001-2011) saga presents an ordinary employee. Bob misses the past, but he is ready to help Adam meet Eden coming from the Upper World as well. Unfortunately, she doesn’t remember the young man and their shared past. However, her colleague Paula played by Holly O’Brien immediately notices his interest in Eden. Many further events are shown as a series of meetings Adam struggles for to get back his love interest, all while searching for opportunities to stay in the Upper world, and, preferrably, not hanging upside down from the ceiling. As times goes by, the whole memory also starts returning to Eden. It is noteworthy, that the filmmakers do not emphasize the noble background of Eden, making her an ordinary girl from the Upper World, who can also be roughly punished for trespassing. The ending half in the Upside Down movie looks a bit rushed and less interesting than the first one. Perhaps, the reason for that was in the plot that could be easily stretched to the size of a trilogy, and in some ways it appeals to the same audience, which enjoys books in The Hunger Games (2008-2010) series. Though lack of support from popular literary sources and absense of famous actors in the cast, except for the main roles, make the fight for worlds equality much less important than the struggle for love of one young people. 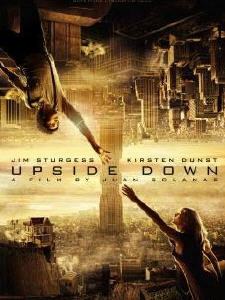 Read on further to learn about filming and the soundtrack of Upside Down.